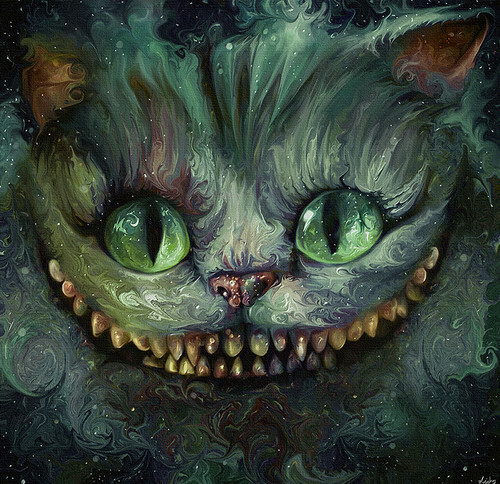 Fan art - Cheshire Cat. . HD Wallpaper and background images in the Alice in Wonderland (2010) club tagged: alice in wonderland 2010 video almost alice screenshot cheshire cat fan art cheshire cat art cheshire cat fan art. It's great! Which sort o' paint did you use?